I’m very excited to share the twelfth episode of the Woolful podcast. 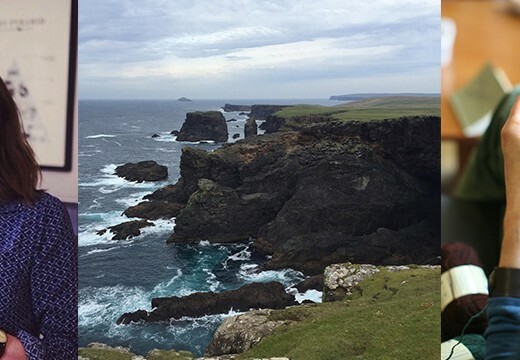 Today we get to meet two special fiber friends, both farmers and both from the UK, but living the farms and fiber journeys from opposite sides of the world…Benjamin Hole of Hole and Sons and Annie Rowden of By Annie Claire. 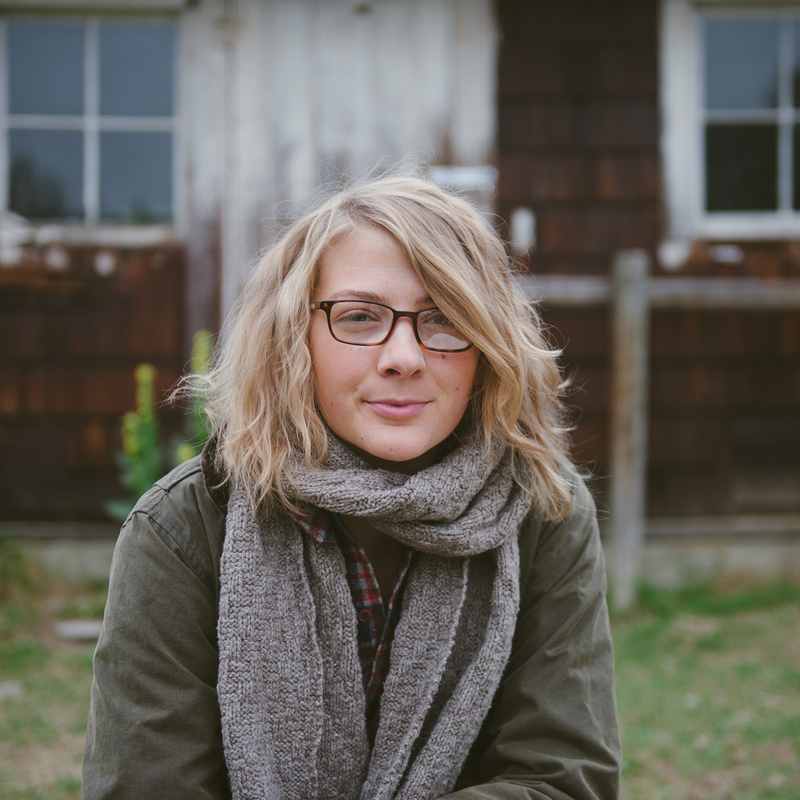 Fiber folk 1: Annie is an incredible designer, mother, farmer and friend who makes her home on the Lost Coast in Northern California where she runs a goat dairy farm with her husband Ryan and daughter Louella. She’s been a huge inspiration and encourager to me personally and she’s a big reason as to why Woolful even exists. You can find her at byannieclaire.com and on Instagram @byannieclaire. This past week Annie released a special pattern in collaborate with our sponsor Sunni from Yarn. You can find this beautiful shrug pattern, Avana, knit with Savannah from the Fibre Company, on Ravelry. For this week’s “Man on the Street” I changed it up a bit and asked a handful of fiber enthusiasts to ask me a question and I’d answer one. Leanne asked a great question about things I’d wish I’d known as a new knitter. 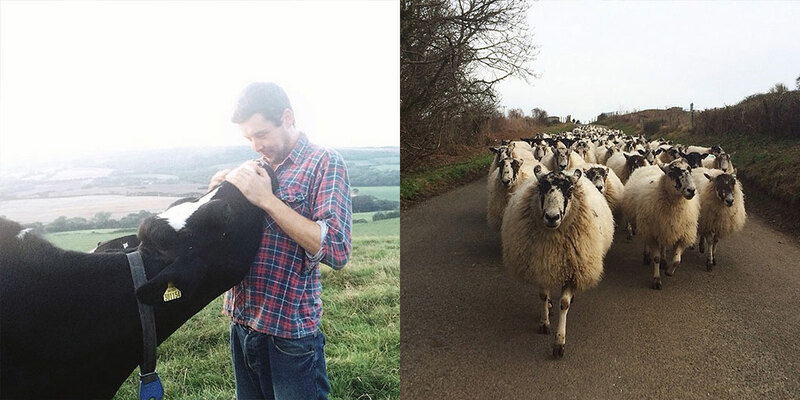 Fiber folk 2: Our next guest, Benjamin Hole is a humble and passionate farmer, running a beautiful generational farm on the Isle of Purbeck with his entire family, including his 90yr old grandfather, and comradery of animals. This past year he helped bring to life the wool of their Poll Dorset sheep, creating the amazing Hole and Sons yarn. You can find Ben at holeandsons.com and on Instagram @benjaminhole. The winner of last week’s giveaway, is Alina! 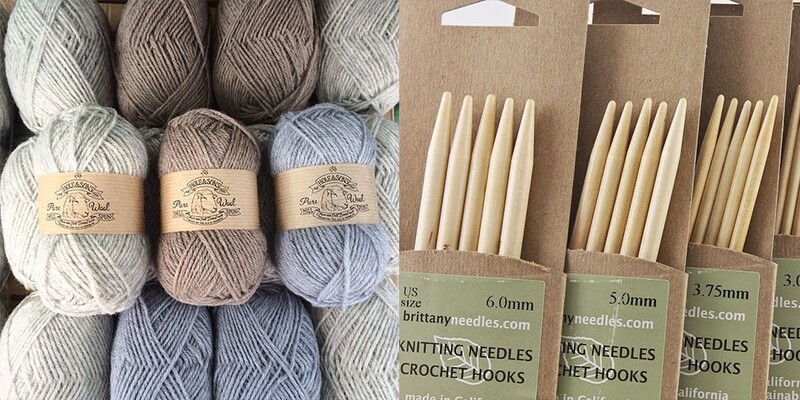 You’ve won a pair of knitting needles and needle wax from Brittany needles. Congratulations! This week we’re giving away a skein of Hole and Sons yarn in Fog and a pair of double point needles from Brittany needles. To enter this giveaway, leave a comment below. Today and tomorrow, my husband David, Coltrane, my mother and I will be at Greenbow Farms helping work the shearing of their Icelandic sheep, which are the lovely creatures and farm that brought us the Greenbow Lopi that was in the shop earlier this year. Make sure to follow this adventure along on Instagram and for all those that have emailed and inquired when we’ll be getting more of this Lopi yarn, well, this is the first step in the processing! Next it will be mailed off to the mill and come Fall we’ll have a brand new batch of the loveliest Lopi you ever did see. Look forward to your podcasts! Very informative and great to listen to after work. just watched Countryfile, what beautiful yarn, I can’t wait to try it! I have been looking forward to this new episode! I am going to follow your shearing adventure on Instagram, it sounds fantastic.. I just love both Benjamin and Annie work! And such a great giveaway! Perfect! I’ve just sat down with my knitting basket for the night, and will now have the perfect podcast to listen to. I always look forward to your podcasts. Thank you. Thank you and have a wonderful week, too! Loving your podcasts each week, and especially the introductions to all these amazing people! Excited to listen in the pottery studio blending both my passions and watching the snow fall. What a day!! I always look forward to your e-mails and podcasts. I am new to knitting and I am loving getting to know this wonderful world of fiber! Thank you! What a great giveaway! I’ve heard this yarn is hard to come by. Looks so lovely too! Missed listening to you last week and look forward to hearing this one! I am always so excited by your podcasts. I tried to get Hole and Sons yarn but was not successful. I hope that I will get to try this very soon. I am always amazed by the fact that I have a huge stash but there is so much more out there that I MUST try. Thank for opening everyone up to new and exciting things. Eager to listen to this week’s podcast! I am so addicted to your podcasts. They are always chop full of useful information. They are hands down OUTSTANDING. Since I have found your website and podcasts, I am definitely a more consciouiness knitter. What a fabulous giveaway. My fingers are crossed. I have been eyeing the hole and sons wool and want to knit with it SO BAD. I’m a new listener to your podcast and I am totally addicted. Another wonderful episode! Would love to get my hands on the hole and sons wool, and see what everyone is going on about! Thanks as always for your wonderful work! ok – what is that cowl Annie is wearing? would LOVE to knit THAT!!! can’t wait to get to this podcast. Happy Shearing! Marci – Her cowl is actually a free pattern on Ravelry. You can find it through her website I believe. Gorgeous isn’t it??! I cannot wait to listen on my drive home tonight!! Thanks for continuing to inspire me week after week! I can’t wait to listen to this podcast! Have fun shearing sheep! So looking forward to podcast 12!….we missed our woolful hour (+) last week…but hope you had fun with your fellas! have a grrreat time with the sheep! Looking forward to this weeks pod cast! I have been feeling so inspired from them. So excited to give this episode a listen on my way home today! After hearing the last podcast, I happened to be sorting through my needles and discovered that one of my favorite sets of double pointed are Brittanys! Now that I know more, I’m proud to own them! Yarn looks lovely,please enter me into the raffle! I am so excited for this podcast, I’ve been wondering when we would hear from Ben and Annie and now, what a treat, both at once! And I’m dying to squish that yarn!! I just discovered your podcast through Benjamin Hole’s instagram account. I will definitely be following from now on! love your podcast and am particularly excited to listen to this one. Thanks for the great giveaway! I love Tuesday mornings! Could not wait to listen to your podcast. The guests were amazing and inspiring. Annie makes me want to learn! Ben makes me want to move to a farm! Thank you! I am new to your podcast and I LOVE it! Finding interviews with friends (Felicia of Craft Sessions) and neighbors (Jen King) and am so inspired. Thank you for a great addition to a great on-line community! Oh I needs these magical things! It was such an amazing gift to listen to your amazing guests. Such a wonderful treat this Tuesday morning! Annie and Ben are so inspiring! I have always wanted my own sheep – but oh well I do have hens. Maybe that will be a dream of the future. I can not wait to touch the wonderful yarns. I am excited for this podcast! I like to live vicariously through Benjamin Hole on Instagram. I am so looking forward to listening this afternoon! And that giveaway!!!! Thank you thank you Ashley! I enjoy so so much listening to your podcasts every week. As new fiber lover they are so encouraging and inspirational-I feel like I can achieve anything if I put my mind and heart into it!! 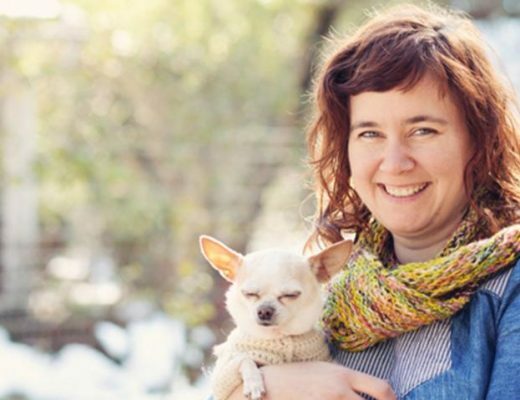 Just getting started in the knitting world, and I really enjoyed listening to this podcast. Thank you for the giveaway! Yay! Would love to get my paws on a skein of Hole&Sons wool and Brittany needles! Thank you! So looking forward to listening in a minute! I love Bejamin Hole’s feed and what a superb giveaway. Thank you for your precious work. Wow, this is an amazing podcast! Both of these fiber folks were equally inspiring! 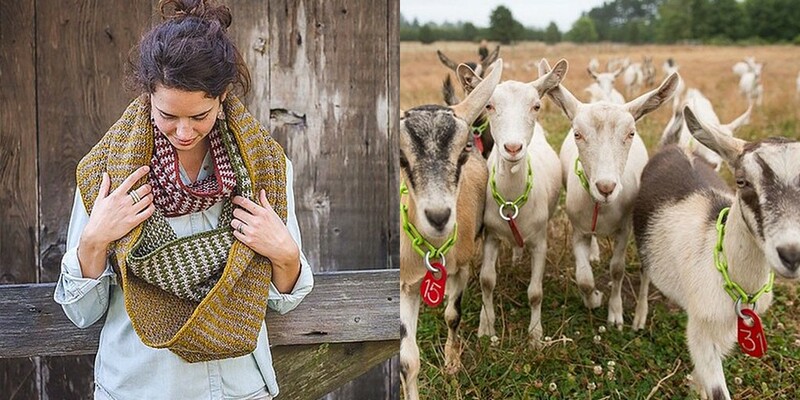 Annie takes on the work of a huge dairy farm, and creates beautiful knitting patterns. I was already following her on Instagram, so it was extra cool to hear her voice and learn about her fiber journey. It is awesome that they have yarn and needles at grocery stores in Finland! 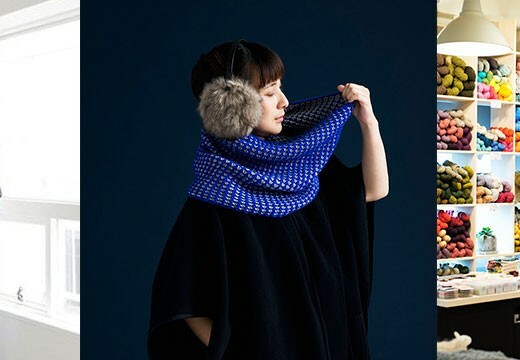 Oh my goodness, I also desperately want to knit with Hole and Sons yarn!! It makes it even more special to know how this yarn is made, from raising the sheep, to the shearing, to the mineral dyeing. I, too, love the tweedy effect the gray dyed wool has on the wool. So much work, heart, and soul goes into that wonderful yarn. Thank you for another fantastic podcast, Ashley!!!! Thank you so much for introducing us to these neat people, I really enjoyed hearing about the island farm, sounds like a magical place! Looking forward to your next podcast! I was so thrilled to see that you answered my man on the street question! I can’t wait to share your response with my knitting students. And thank you for the chance to win this awesome prize!!! Would LOVE this! have a great week. Thanks for another inspiring episode!! Hope you have a marvelous time at Greenbow. Looking forward to hearing about it next week. oh i want all that yarn! looking forward to this episode! I am really enjoying listening to your podcasts while I knit and try to stay warm in Northern Virginia. You are broadening my knitting horizons. Always look forward to your podcasts and love your Instagram feed!! I found you through Benjamin’s instagram feed, which I love.. Looking forward to hearing this podcast after work, and I’m excited about this giveaway! Always look forward to the podcast! Each episod is even more interesting that the one before, you are really good at finding such interesting people! I enjoy so much your podcasts. Thank you for taking the time and energy to create them! Can’t wait to find a quiet hour to listen – these are wonderful! Thank you. I have been following @woolful and @benjaminhole on IG for awhile now! 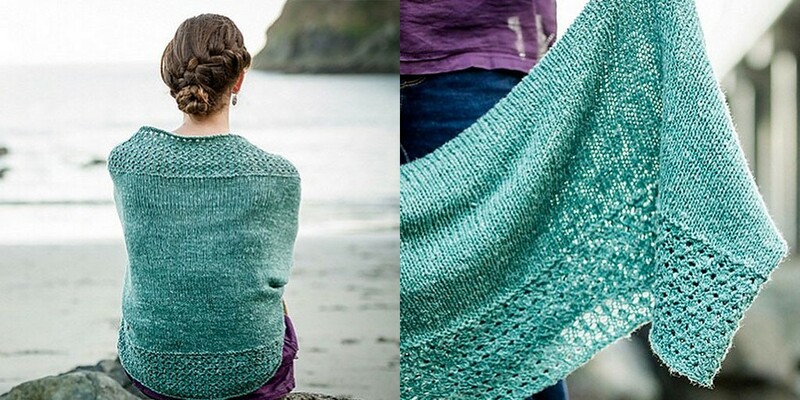 I would love to get my hands on a skein of Hole and Sons yarn! Loved this episode!! The yarn is gorgeous. I love your podcast I listen to it at night when all the kids and husband are sleeping, it’s my bedtime story and I have sweet fiber dreams all night! Thanks so much! I would love to win, been sad I missed out on their yarn since I heard about it a few weeks ago! I loved hearing about life on a farm and the process from shearing to spinning. Thanks for all the great fiber love! A friend of mine just told me about you! I cannot wait to download the podcast, but so far just reading about it makes me excited! I’ve just recently discovered Woolful and went back and listened to all the podcasts while knitting my first sweater! Thanks for all the inspiration! I’m so grateful to you and the people you’ve interviewed for making me more aware of the fiber I’m using. I’m now on the hunt for an LYS in Chicago that sells some single origin yarns (other than merino) but in the meantime I’m so thankful for the internet marketplace! Wow, what a great episode! Loved all the inspiring things both your guests had to say, and their whole outlook on life. Another awesome podcast! Thanks so much, Ashley. I enjoyed hearing about Ben’s family farm and what a fantastic legacy to be a part of. I applaud Ben for cherishing his roots and carrying on the family business. I would love to have some wool from Hole and Sons. I look forward to his pictures of the farm daily. Thanks so much for all you do to advance the wool and yarn production for us all. Hi Ashley, I am finally up to date on all of your podcasts. I am excited to finally be able to have a chance at your wonderful give aways! Thank you for all of your hard work & the valuable information you are exposing me to. This is by far my favorite episode yet! Annie’s story was so inspiring and easy to relate to, as I’m in college right now and find it hard to get knitting in. And it was so wonderful to put a voice to the face and images of Ben! I’ve been following him and various other family members of his for over a year now, and I might even go as far as to say that he is my favorite Instagram-er. Thank you Ashley, for this wonderful podcast! Hearing this podcast is for sure the highlight of my week, and very inspiring as I start getting back into knitting! Another inspiring podcast! Thanks for the chance to win, I love Hole and Sons! Another incredible podcast Ashley. Thank you for sharing your passion and taking me along on a much needed adventure on a snowy day. Enjoying your podcasts! They are so inspiring! Thank you! I’ve been reading a lot about Hole and Sons yarns in recent weeks, so it was wonderful hear from Benjamin and learn about the farm on which the yarn is produced. Would love the opportunity to knit with this special first batch! I am finally caught up again and so can enter the giveaway! I so enjoy the podcast and this particular yarn and needles look like a divine combo. Keep up the good work. This was a lovely podcast. It really took me away during some dry moments of my day today. Such an enjoyable podcast! I’m a big fan of Ben’s on Instagram, it was lovely to hear from him. That yarn is soooo gorgeous!! Thank-you so much for this heart warming podcast. I started following Ben on IG years ago when we would comment on each other’s posts because he didn’t have so many followers to keep up with. So happy for him and his family on their continued success. Please enter me in the drawing to win the Hole and Sons Yarn and the double tipped needles. Thank-you & best wishes on starting your homestead. Another great podcast, Ashley, like always! You have a great rapport with your guests. It was great to hear from these two Brits!! Their stories are both so amazing, and their respect for animals and craft really come through. Can’t wait for the next session. I would love to get my needles into some of that beautiful Hole & Sons yarn! You make the most amazing connections with wool related folk. Beautiful yarn and a lovely podcast. Thanks for both. Thank you for another thoughtful episode! I love to listen while I knit. Love this podcast! 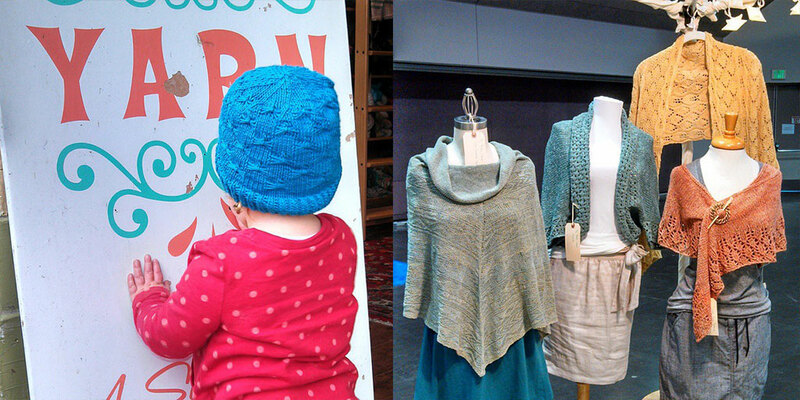 Looking forward to knitting with your yarn and Hole & Sons too! I have a new Ravelry friend to follow! Thank You! I’ve only found your podcast recently through The Craft Sessions blog and I’ve really been enjoying listening through the episodes. I particularly enjoyed hearing Ben speak about his farming philosophy today and his approach to his work – ‘doing things properly’. I love his quote about farming – ‘It’s a hard way to make a living but makes for a very simple life.’ What an inspiring man. Can’t wait to listen tonight as I weave, love this yarn! Thanks for another lovely episode, Ashley. Sigh… Benjamin Hole is living my dream life. brilliant. and the wool and needles!! Best knitting companion ever! Keep on doing it lady! So interesting! Can’t wait to listen to next podcasts! Another great episode. Thank you for yor work. Great podcast! And, if ever there was a prize drawing I would like to win, it would be this one for sure. Fingers crossed. Love your podcast and your guests. Keep up the great work. So great to hear from shepherds on the other side of the ocean!! I loved this episode so much! Probably my favourite yet! Thanks so much for all your hard work on putting out this beautiful podcast, I truly appreciate it. Your podcast has been so inspiring to me to try domestic wool. I found you on IG first, but love your block and podcast. I don’t miss an episode. Such great work, thank you! Fingers crossed, I would love to try Hole and Sons yarn and have a knitting tool obsession so the needles would be great! Loved this episode – very inspiring as ever! I want to join in the giveaway, the yarn looks amazing and I loved the story about it! Love hearing about the yarn making process at Hole and Sons! Beautiful stuff. What a great podcast. I visited Annie’s website and fell in love with her new pattern Avana. Your interview with Benjamin was also very interesting. Both he and Annie have such wonderful accents, which made the listening even better. Thanks for keeping me entertained. I missed you last week! I would love to try that yarn! Listening to your podcast is my favorite knitting time… Thank you! I’m loving your podcasts. The Fringe and Craft Sessions was my favorite so far. Looking forward to listening to this new one soon! Annie and Ben are so passionate. Love the interviews! I always enjoy the podcast! This episode I especially loved the idea behind “using all the animal” behind Benjamin Hole’s yarn and Annie’s discussion on being a process knitter. Oh what a fun podcast. I have been following Benjamin for a while on Instagram and it was such a joy to hear him talk about the farm and his yarn. Annie was delightful and I’m glad I got to know more about her. Thank you so much for your work on this podcast! It provides me with so much inspiration! I listen while I snowshoe in the woods in my neighborhood in Vermont – my weekly treat while my husband watches our one-month old. And then I arrive home eager to fit in a few stitches here and there when the babe sleeps! I’m surprised there have been no finished knits with Ben’s yarn yet, maybe it’s too special. Send some my way and I’ll knit it right up!!! This week’s podcast was lovely! Thank you! Does anyone else listening feel an almost irresistible urge to drop everything and move to an ISLE? Any isle will do. I love what you are doing to help raise an awareness of conscious living, sharing how some people think about their choices in life, treasuring small batches of sustainably produced goods, and overall living more simply and with an awareness of the land. This last podcast, #12, especially captured these ideas. Great job! Gosh every time I listen to your amazing podcast I end up adding interesting people to my instagram feed, it is getting out of hand. wonderful podcast. want to roam on Hole & Sons pastures after listening to Ben’s passion & vision. Every week, your podcast makes me want to dive further and further into fiber. Not just as a consumer and enthusiast. I want to make a mark and inspire people the way you and your guests do. Hopefully one day I’ll figure out how. What a nice story – the Hole & Sons. I wish I will be the lucky one to win the giveaway! Discovered you via Benjamin hole’s instagram feed. Love his pictures–so it was a delight to hear him talk about the farm and their good work. 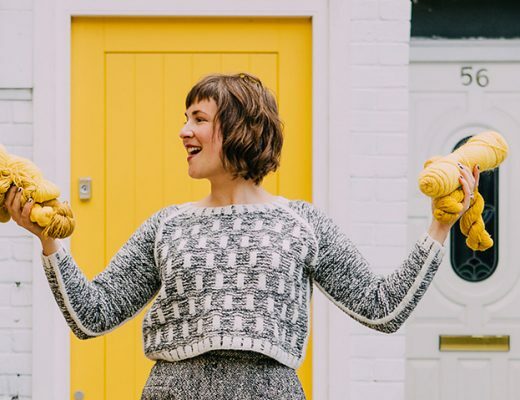 Am a life long fiberista– who will now look forward to your podcasts! Thanks for this. My favorite episode yet! Thank you for your work on this podcast – it is a really valuable addition to MY fiber journey! Another excellent episode! Ben sounds like a man after my own heart…I, too, live in a foggy place & miss it when the sun is out ;-). Would love to win the fog yarn and some gorgeous Brittany needles. Thank you! The most inspirational, yet down-to-earth and real-people-oriented podcast! Great interview questions always lead to a fascinating listen. Thank you! I think this is my favourite episode yet! I really look forward to Tuesday nights and sitting down with your podcast, a cup of tea and my current project. What a great episode! It would be a treat to work with this yarn and these needles. Thanks for the opportunity! I recently found your podcasts and am really enjoying listening to them while I spin, knit or otherwise think about making! So inspirational and welcoming. Cheers! My favorite episode so far! Ben’s description of his farm life, oh so lovely. Ive often wanted to go work on a farm; now after listening to this weeks podcast I almost feel like I need to! How wonderfully both guests described that lifestyle. It’s so different from being a psychotherapist in a city but it sounds so good! Wonderful podcast! I’d love to win the yarn. Wonderful podcast, thanks. Hole and sons are just wonderful!!! I so enjoy listening to the depth of your interviews. I sit back and knit thru the whole show. Thanks, and keep them coming. Woolful so inspires me like no other podcast! I’d love to be entered in your lovely drawing! Such a fan of Benjamin Hole. Thanks for sharing. Love both of your guests for this episode of podcast, thank you! I love your podcast, it keeps me company while I’m at work 🙂 Really enjoyed this latest episode, and can’t wait to hear more! oh, the inspiration! thank you! more into pure wool and handdyed (with plants) yarn than ever! A new Woolful episode always makes my workday. 🙂 Please keep up the stellar work! Love this podcast! I listened to it before work one morning and it set the tone of my day. It made me love England even more, and made me happy to know that people are really considering the origins of what they consume. Oh my goodness! What an amazing episode! And what a glorious story behind that yarn – how I wish I could get my hands on some. Keep up the great work Ashley – you inspire like no other with your podcast. Thanks for another great episode, Ashley! Both of this weeks guests are truly inspiring! Wow, incredible episode! I’ll definitely have to listen to this one again sometime. The thought process that went into Hole & Sons yarn is like something from a dream…I’m hoping to be the winner this week, and will be watching intently for updates on the next batch from Hole & Sons farm. Love hearing the stories of farmers! I have been following you since just about day 1 of your blog and you have led me to so many amazing people and fibers. I was so excited that you were interviewing both Annie and Ben as I have been following both for a long time now. It was so amazing to hear just a little about them and their journey. I missed out on this sale of hole and sons and hope to get some in their next release. Thank you so much for all you are doing, it is such an inspiration! Great podcast. I especially love hearing from the farmers themselves. It’s giving me sheep fever!! How great to finally hear the voice of Benjamin Hole after following him on IG for so long! It would be wonderful to work with some of his yarn, thanks! I really enjoyed this episode and would LOVE LOVE to work with that elusive yarn! I’m so glad to have found this podcast, and to have caught up via binge listening. (uff da – it helped me get through miles of garter stitch!) Fun to hear the progresion of the podcast, and to hear from voices and known and new. Thanks for doing these, and I’m especially looking forward to Grand View Farm’s episode. We’ve been to their wonderful place – a perfect match for this podcast! Another wonderful podcast….. I have to say that I am feeling just a little homesick now for those green fields back home. I loved listening to your two guests this week and now I will have to work out how to use Instagram in order to follow Benjamin Hole…..
so great that they try and use as much of the animal as possible, no disrespect, no waste. I have followed Ben and Annie on IG for a while now and so it was so great to hear their stories on the podcast. Loved the Man on the Street switch up this week! I would love to win. It looks like such beautiful yarn. This wasy first time listening & I enjoy it very much. Can’t wait to hear more episodes. I just loved listening to this. I’m an expat from the South of England, and went on holiday every year to the Isle of Purbeck. It’s brilliant that I can sit on a quiet early morning in mainland China, knit and it feels like home. It would be even better with some Hole & Sons yarn! I just loved listening to this. I’m an expat from the South of England and my family used to go on holiday every year to the Isle of Purbeck. A perfect morning knitting and listening to things that remind me of home. Thank you so much for the podcast this week! I especially enjoyed listening to Benjamin speaking about his farm and sheep. I’ve been following him on instagram for about a year now. Such beautiful photos of life on a hard working farm. I would put the lovely yarn and needles to good use!! After looking at all those comments I am not liking my chances of winning such a lovely looking ball of wool. Can only hope. Another grat episode! I really enjoyed hearing both of their fiber journeys! First time listener, love your podcast! Of course, now I would like to raise goats and sheep. Sounds so wonderful! Thanks for taking the time to share! I missed the last sale of Hole and Son’s and these needle looks wonderful. Thanks for this giveaway and your fantastic postcards. Your podcast are now part of my Friday mornings, a cuppa, a fresh toasted home-baked bagel, and Woolful. Thank you so much for this weeks, featuring two of my favorite Instagram fiber folks. I am so excited that I discovered Woolful! I listen on my commute in the morning and it helps pass the time in rush hour and keeps me in the fiber world for a little more of my day. Thanks so much for all you are doing! I have a lot of skeins that I just want to cuddle, too. Oh, fine color fine fiber. Ha! Squeeze me, Pull me, Use me up! It’s the first time I listen to your podcasts, I love it, very interesting and inspiring people! thank you for your work. What a great podcast and a great episode! I’m so thankful for Woolful; I’ve already learned so much. I’ve followed Benjamin Hole on Instagram and it was wonderful to finally hear his story. Thank you for another great podcast. I’m so grateful for these ventures into fiber; from these podcasts I keep learning more and more about this craft I’m already a part of, giving more history and meaning to it. Thank you so much for making these. What a nice giveaway! Those yarns are LOVELY and the Brittany needles would be sweet! Thanks for the chance to win this yarn. I love the podcast! I absolutely loved this podcast. Hearing the passion that these two have for what they do is inspiring. The yarn is lovely and listening to the love that is put into it makes that product something special. Thank you for shifting the focus to more locally made yarns and American farmers. You have opened up a window into a new world! I adore your podcast Ashley!! Thanks so much for introducing me to new fiber folk! Thanks for another interesting podcast. Lovely to hear about farmers. Looks like beautiful wool too. I am so thrilled to find your blog and can’t wait to listen in to the podcast! Thank you for featuring such talented fiberists and encouraging young knitters like myself to keep improving!! I loved this episode. I think my favorite episodes are either about sheep farming/behind the scenes wool production, or the people who make the tools we need and cherish (thinking specifically of the Fringe Supply Co. episode). Ben’s farm sounds so picturesque! I’m in love with this podcast. I feel like I learn so much just from hearing about the behind-the-scenes of wool production. The yarn looks amazingly sheepy, and I love the story about honoring the landscape it comes from. I’d love to try this yarn. Thanks for such an interesting podcast. I am so enjoying your podcast(s), I am so glad I found you. I’ve had a very busy week, and I have been looking forward to this Saturday night with your podcast. Thank you for taking time to give this little pleasure to so many of us! Love your podcasts! I recently got up the nerve to start my own knitting blog, something I have wanted to do for a long time. Your podcasts have been a huge inspiration and motivation in helping make the plunge! Thank you! …enjoy your conversations and watching you on your path of adventure. It was such a lovely episode. Have been following Benjamin Hole on Instagram for quite some time so this was delightful! Oh my, that beautiful palette! Can’t wait to listen to this episode tonight and learn more about the Poll Dorset and the Isle of Purbeck. I painted my studio walls a Farrow & Ball color called Purbeck Stone. I loved the podcast and would also love to get my hands on a skein of Hole and Sons yarn! This was beautiful..love listening while I knitting. I was so sad when they were sold out of their beautiful yarn. Can’t wait to get some! Can’t wait to listen to this one tomorrow during my morning run! I’ve been following @benjaminhole for a while now and was so excited to see him featured! Their yarn looks wonderful. I can’t wait to listen to this tonight. How exciting, just found your podcast. Looking forward to following you. I think this episode was my favorite (but I say that about every new episode. Lol) Benjamin’s interview was so captivating. And a person easily gets lost in the charming collection of his Instagram photos. I would be so happy to win a skein of Hole & Sons yarn. Oh to hold a small piece of the Isle of Purbeck in my hands! 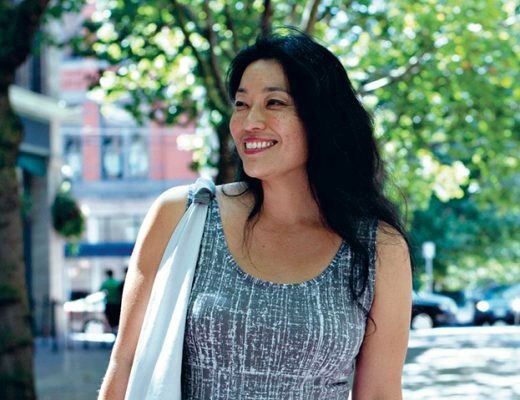 the whole family business sounds so idyllic, thanks for another great interview. Your podcasts are the highlight of my woolly week and are inspiring me to look at fiber in many new and environmentally conscious ways. Thank you for putting your time and energy into this! loved the episode and would absolutely love this giveaway! Your podcasts are so lovely-thank you for all the hard work you put into each episode. Wonderful! Always inspiring and I look forward to hearing each week. Great to listen while spinning. I have been following Benjamin on Instagram for a while now so it was wonderful to hear the story behind his family’s farm and the new yarn. It would be lovely to win a skein as it is so hard to get! Thank you for these wonderful podcasts and introducing all these inspiring and talented people! Love listening to them while crocheting! Loved this episode. I enjoyed Annie’s realistic perspective about following ones dreams but also doing what you love and making it a priority for the present. And of course a huge fan of Ben’s Instagram and loved hearing about the simple life on their farm. It was truly great, and thanks Ashley for thinking up questions to ask him that I hadn’t even thought of! Found you via Instagram as I follow Benjamin and his farm. Love the podcast and glad to have found your site! Feeling inspired after a few weeks away from my needles. I enjoy your podcast very much! It was great to hear Ben tell the story of his lovely farm as I’ve been following him on Instagram for a while. I also enjoy listening to the one about Brittany Needles so it would be great to have both Hole and Sons Yarn and a Brittany set! It’s so interesting to hear how people begin their fiber journey! I have loved every episode of your podcast and learned so much that it’s completely changed my view of knitting and the yarn that I use. I am very thankful for this. Loved this episode and would LOVE to try Benjamin’s yarn! This has been my favorite episode by far! I’ve followed Annie for a long time on IG so it was nice to hear her talk about her life a little bit! Such a great episode. I loved hearing about the hole & Sons farm! What a delightful podcast! I think I love each one more than the last. It’s my favorite thing to listen to while I spend time with my spinning wheel! Another awesome podcast! I don’t know how you do it but I’m grateful you are! Thanks! Amazing! Loved the podcast very much!!! I’ve been following the Hole family on Instagram for a while now- love them!!! What a treat your podcast is! I love how your guests are so far-flung, and how we get such a nice taste of their lives and work. Wonderful episode! I hope to be able to try Hole and Sons yarn sometime soon. What a lovely interview with the two Brits, doing the same thing but differently. I would love to have some of the special yarn! Thank you for shedding light on this brilliant farmer. Would love to see that yarn! I can’t tell you enough how much I enjoy your podcast, I really feel a connection with the people you interview. Thank you so much for bringing us their stories. Lovely episode! I really enjoyed listening to Bens story too. I spent the day catching up on the podcasts….the people you introduce us to continues to amaze and inspire! many many thanks!!! I really enjoyed the podcast, especially hearing Ben’s passion for his farm, family, and animals. I have followed him for a while for his wonderful photos. I’m hoping to buy some of the yarn! I always listen to woolful at work and it makes one morning a week that much more wonderful. I feel so inspired by lunchtime and can’t wait to go home and start making. Love love love listening to the wooly stories of all your guests–so inspiring. thank you! I love all the different fiber perspectives you have on your show– especially loved hearing from some of the farmers this week! Keep up the good work! I really enjoy your thoughtful, inspiring podcasts. Another beautiful, informative stop on the fiber journey, thanks! Thanks for your inspiring and thoughtful podcast. Another beautiful and informative stop on the fiber journey. Thanks. This week’s episode was fantastic. All of them are. Today I got to listen to two guests whom I follow on Instagram. Hearing them talk about their passions, makes me more passionate about the craft we all hold so dear. I loved this episode–and I’d love to win the giveaway! The yarn looks so beautiful and Bruttany needles are fab. Simply divine. Would be wonderful to win and help with the winter doldrums. another ice storm and freezing temps. Love that natural, not so processed wool!!! What a lovely podcast 🙂 It was so great to hear the Hole family story and about what it’s like running a farm with so many different animals and crops. So excited to see that Benjamin Hole is a guest this week. I’ve been a huge fan of his Instagram feed for a while. Thanks for always seeking out the most inspirational people. Hi! This was my favorite episode yet, and I’ve listened to them all. The sound quality was really good, which was the only issue I’ve had with a couple past episodes. I think Mr. Hole could start his own podcast, I just loved hearing about his farm. Although honestly, I would listen to him read the phone book, lol! Thanks for all your hard work Ashley, I am a working mom of a little one too and I admire your dedication to all things wooly! Lovely giveaway and a great podcast! I love to knit while I listen. Love the podcast. Thanks for introducing us to such great people and products. This was a great podcast, very informative and inspiring!! Great interviews. Always happy to hear about sustainable farming and that the yarn production was done with the same traditional values. It looks beautiful! That was LOVELY. I want to be part of an environmentally integrated, intergenerational farm. This episode was so great, it made me want to work on a farm haha. I hope I’m not too late! My favorite giveaway yet! I’ve learned so much from you and your wonderful guests. Thank you for sharing your talents! Love the podcast, which I just discovered. The yarns are so desirable! I just loved this episode! So inspirational, lovely guests! I hope I’m not too late to take part in the give away? This episode was a joy to listen to. I was nodding all the time when I was listening to Annie speak of her love of yarn and fibre art. Thank you for bringing the story of people like Annie and Ben’s lives and passion to our attention. Woolful is AWESOME! It was amazing to listen to this interview with Benjamin Hole. I truly admire their work and you can really hear how passionate and dedicated he is to the animals and to the farm. Happy farmer-happy animals! I haven’t knit for years but after listen to this episode I would love to start again. I love listening to your podcasts. Sometimes I even listen twice. I love O-Wool! The Local is beautiful and I’d love to win! I miss no longer living down the street from the O-Wool warehouse. Thanks for the giveaway! I have been really excited to try their yarn… looks gorgeous! What a great podcast! I enjoyed every second of it. Thank you for making my cleaning job so much fun! Now that you have explained what ‘superwash’ really means I’ve been wanting to find merino that didn’t have that process on the yarn . Thank you for having an alternative on your podcast! That is one gorgeous scarf!! Absolutely loved this podcast! I am so inspired now! I found this podcast just last week and I’m already caught up. Every story inspires me. I love this permaculture dyer story. It’s what I aspire to. Another great set of interviews. Thank you! I always listen on my BART commute, and today was no exception. Thanks to some delays, I finished the podcast and a fingerless glove! Amazing podcast and a beautiful scarf! My first woolful podcast. Enjoyed immensely! Loving this gorgeous scarf. Love your podcast and would love to try out some of the O-Wool! Thanks for the chance! Another week, another great episode! I love to sit, knit, and listen. It’s like meditation and stimulation at once. Keep ‘Em coming! Can’t wait to listen to the podcast! Many thanks for sharing this!